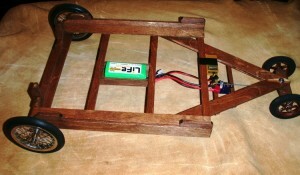 Check out Steve’s solution for ground take off. Thanks for posting Keith’s video of his Flyer.. enjoyed it. I see where it hops a little in the wind (like mine) but still quite manageable. (I thought it was me!) Think I’ve got close to 3 hours flying time on mine, and still my most favorite flying machine . Here’s a couple JPG’s of the dolly I built for the Flyer. As you can see I used a separate receiver to steer it while on the ground. (paired to the rudder) Works great on pavement, but had to make the sides higher for T/O on our rough grass runway. (was easy to bounce off) Also put 4″ tires on the front. 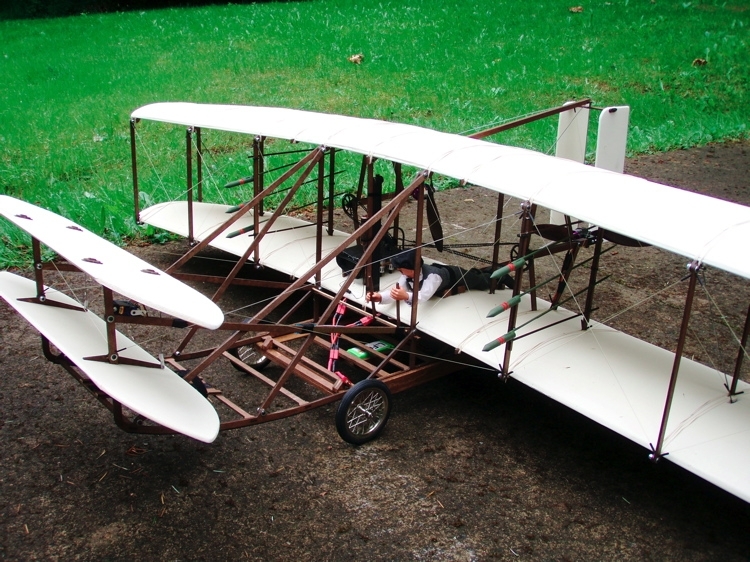 (2.5″ in the back) The plane still draws a crowd when ever I fly it. Close up of Steve’s simple steering and double tail wheel assembly. So, Steve, I’m wondering, is this RX bound up to the same TX and program as the flyer it’s self? Meaning of course, just one radio, when you move the rudder, the tail wheel would be moved also? Looks very good. I’ve not used a dolly yet, but from sliding it on smooth surfaces for take off, I’ve felt it would work better with a positive angle of attack. Your wheels sizes make sense to do that. 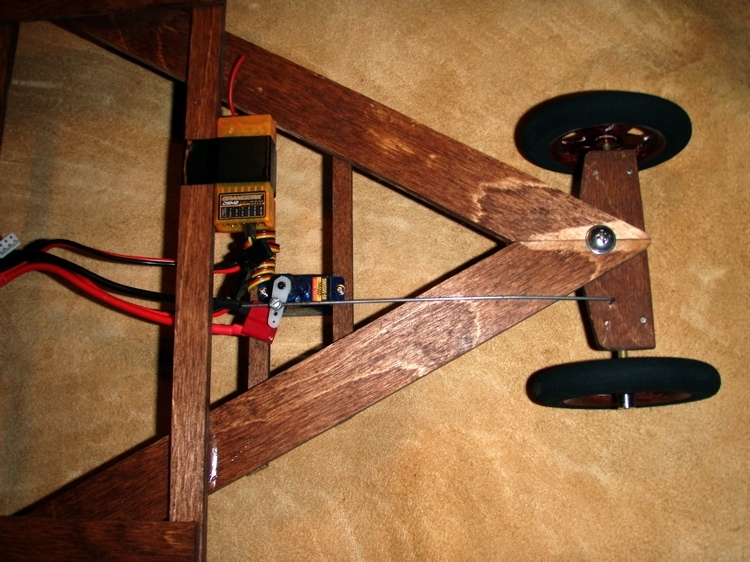 Wright flyer mounted on Steve’s dolly complete with armament?